Every RAL Gütezeichen (Quality Mark) is approved and awarded in a binding process according to the same fundamental guidelines. This RAL quality assurance system covers areas such as defining the scope of validity through to the approval process, as well as awarding and monitoring the quality mark through to its possible withdrawal. This system is responsible for ensuring that RAL Gütezeichen (Quality Marks) are neutral and particularly reliable. It differentiates RAL Gütezeichen (Quality Marks) from all other labelling systems. 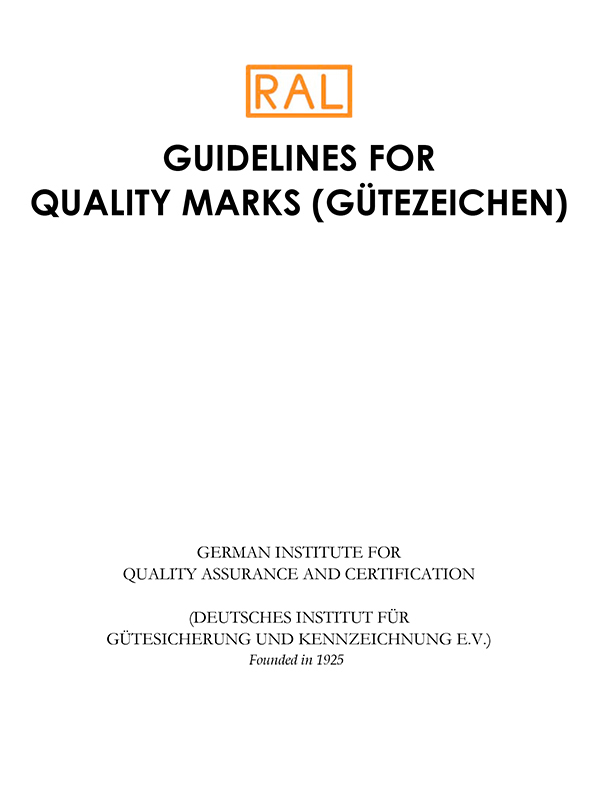 RAL Gütezeichen (Quality Marks) are objective proof of quality assurance. They are only used for products and services that demonstrate certain characteristics. The holders of these labels are the RAL Quality Assurance Associations who establish the quality assurance specifications and monitor adherence with them. RAL is responsible for maintaining order within the quality mark system by, for example, approving the RAL Quality Assurance Associations and RAL Gütezeichen (Quality Marks) and publicising the labels. The RAL quality mark system places particular importance on objective criteria and transparency. 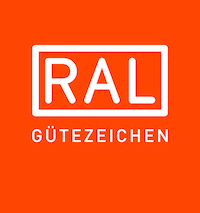 Following a transparent and neutral approach is also important when approving a new RAL Gütezeichen (Quality Mark) or RAL Quality Assurance Association. Furthermore, the design of the RAL Gütezeichen (Quality Marks) and the corresponding quality assurance specifications also have to comply with uniform rules.